Get the Full StoryBrad Tavares responds to Israel Adesanya s previous comments about being the A-Side in their matchup. Middleweight standouts Brad Tavares and Israel Adesanya will be headlining the TUF 27 Finale this Friday in Las Vegas. 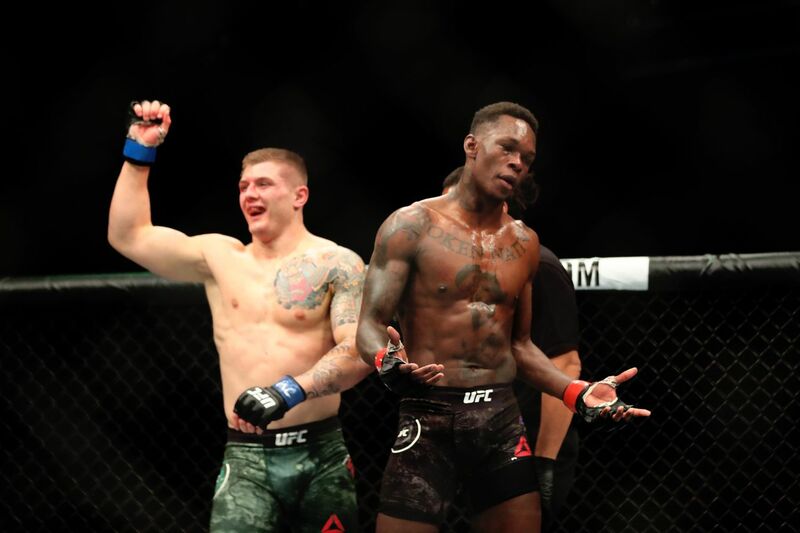 And according to The Last Stylebender. Tavares was only placed in the said position because of him and his drawing power. Be honest: If not for me, he wouldn t be here, the undefeated Adesanya said during a recent pre-fight media scrum via MMAJunkie . He s in the red corner because he s ranked higher or whatever. But rankings is just opinions anyway, so I don t care about them. He s only here because of me. I might be blue corner, but I m the A-side of this. Tavares was asked about what he thought of his opponent s statements during media day on Thursday. For the TUF 11 alum, Adesanya s statements are either a product of delusions of grandeur, or self-assertion. It s one or two things, maybe a mixture of both, Tavares told reporters. Either one, he s extremely delusional, which that could be it. Or two, he s just one of those guys that needs to tell himself over and over and over, like look himself in the mirror and say hey, you re the man, I m the greatest, I can beat this guy. He s that guy. I get a kick out of it, he continued. No matter what he does to prepare himself, no matter what he does to tell himself, whatever it is that helps him sleep at night, come July 6th, he s gonna have to be in that cage with me, and all that talking and all his mental preparation or lack thereof is not gonna help him one way or another. It s either he s trying to convince himself or he s extremely, extremely delusional, but he s been around the fight game a long time, so I m gonna go with the latter and say that he s just trying to convince himself. The card will be co-headlined by the TUF lightweight tournament final between Mike Trizano of Team Miocic, who will square off against Joe Giannetti of Team Cormier.